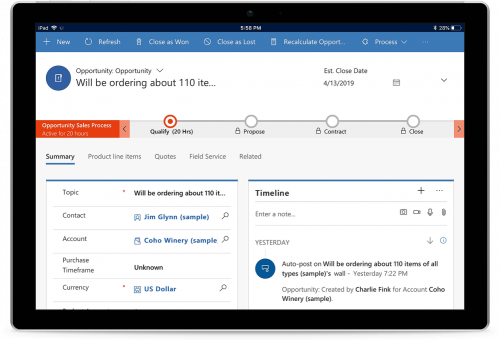 Dynamics 365 Customer Engagement is the next evolution of Microsoft Dynamics CRM, which has been broken down into a modular suite of modern, unified, intelligent, and adaptable business applications. Start with the apps you need and add on as you go. Turn relationships into revenue with the organization and intelligence of Dynamics 365 for Sales. With built-in integrations with Office, Outlook, Power BI and LinkedIn, the Sales app is a powerful tool for sales teams to build better relationships and close more deals. Deliver fast, personalized service across any channel with Dynamics 365 for Customer Service. With guided processes, social listening, and AI-driven insights, your service team will have all the information they need to deliver a superior service experience, whether in the office or on the go. 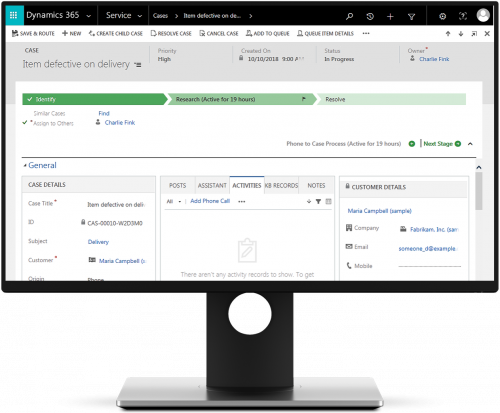 Prevent and resolve service issues quickly and efficiently with Dynamics 365 for Field Service. With an intelligent scheduling engine, field service managers can ensure each job gets the right technician at the right time. And with a world-class mobile app with full offline capabilities, field service technicians will always have the information they need to get the job done, wherever they are. 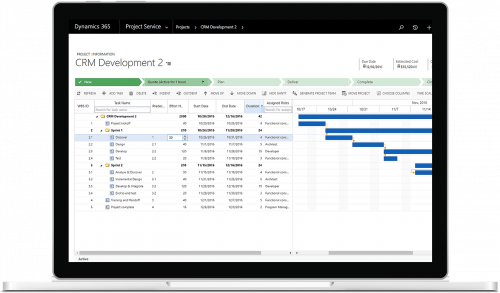 Deliver projects faster and more profitable with Dynamics 365 for Project Service. With an intelligent, skills-based scheduling engine, project managers can ensure resources are assigned the tasks they can complete quickly and confidently. 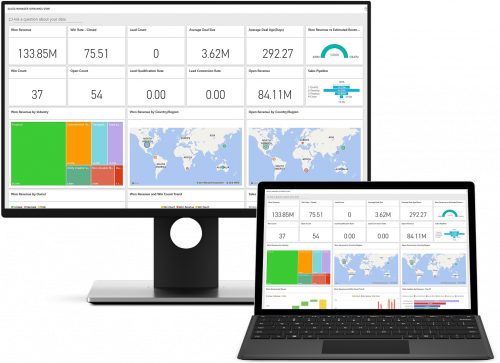 And the built-in analytics puts real-time metrics on project cost, revenue and effort at your fingertips. 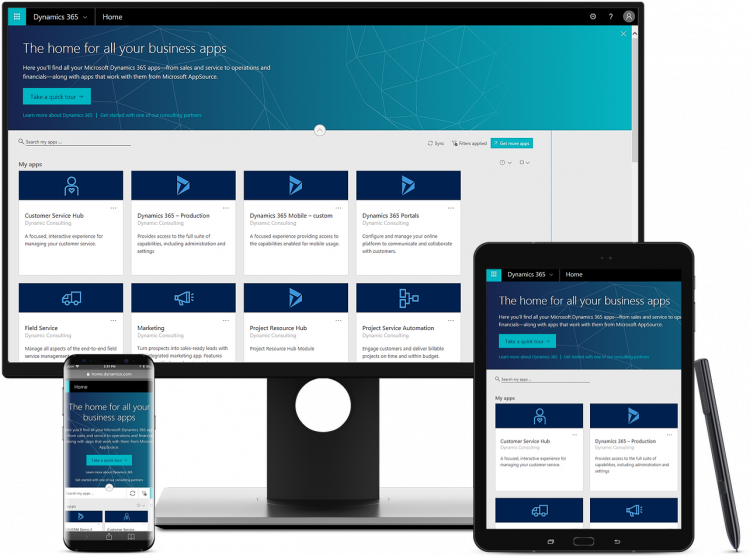 Create powerful, integrated applications bespoke to your business with the Dynamics 365 platform. 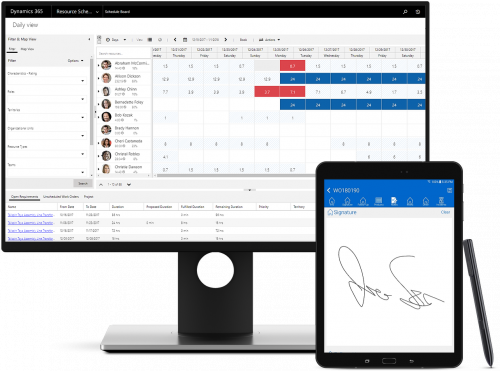 With access to the platform’s rich feature set, plus built-in mobile solutions and Power Platform integration, Dynamics 365 can deliver exactly what you need to efficiently manage every aspect of your business.